There's a very good reason why. This is one of those situations where an automaker could have simply pocketed the extra money to put towards the annual Christmas party, or some other slush fund. Only Tesla didn’t. 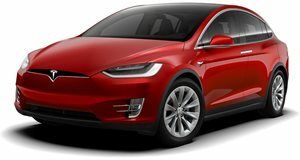 Electrek has learned that Tesla has just dropped the price of its top-of-the-line Model S and Model X trims, the 100D and P100D, by $3,500 and $5,000, respectively. How come? Because the production costs for the 100-kilowatt battery packs have gone down and Tesla is passing its savings down to customers. In fact, this is sort of a reversal from a price increase last April for those specific models and trims. Not only are they now back to original prices, but also come with more features than before. More for less. Nice. The Model S P100D begins at $94,000 and the P100D at $135,000. The Model X 100D starts at $96,000 and the P100D at $140,000. But what if you already placed an order for any of these specific models and it hasn’t been delivered yet? No problem, the cost savings will be passed down to you as well. This isn’t the first time Tesla has dropped its prices. Just prior to this, the base Model X 75D price tag was dropped by $3,000, thanks to increased margins. It’s nice seeing an automaker so open and transparent about not only its pricing but also providing regular updates regarding its Supercharger network and anything else customer related. Mainstream and longtime established automakers should take notes here.